SE Solutions has made five key new hires, including a chief financial officer and senior vice president of strategic recruiting, the company announced. Tom Stepka has been named chief financial officer for SE Solutions. Previously, Stepka held leadership roles at Cognosante, ACS/Xerox, Integic, CACI and Unisys. Dan Parker will support SE Solutions as senior vice president of strategic recruiting. Parker previously served as director of talent acquisition at General Dynamics IT, where he managed and directed a $10 million recruiting budget and a team of 60 recruiters. David Wolf has joined SE Solutions as senior vice president of Federal Civilian. Wolf previously held senior leadership positions at ASRC Federal, Data Networks Corp., Capital One, Tygart Technology and Keane, leading each to new levels of growth and success. Jay Danielski has joined SE Solutions as vice president of operations for Federal Civilian. 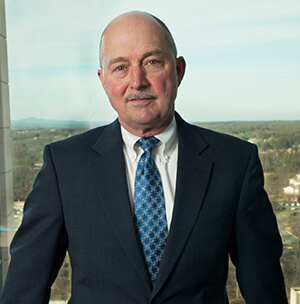 Prior to his arrival at SE, Danielski supported federal clients with Tygart Technology, Inc., Serco North America, the Tennessee Valley Authority, and Oracle Corp. SE Solutions has also named Bob Shipman as vice president of operations for the company’s Department of Homeland Security practice. His previous roles include leadership at Accenture Federal Services, Agilex and Windward IT Solutions. In addition, the company announced Dan Barber, who for the past four years has served as the vice president of the Cyber Solutions Division, has been named senior vice president of technology. Previously, Barber was a business unit director at Engility (formerly DRC), where he led the Homeland Security Solutions Division’s cybersecurity business unit and served as a trusted adviser to multiple federal chief information security officers.